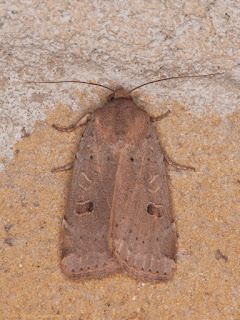 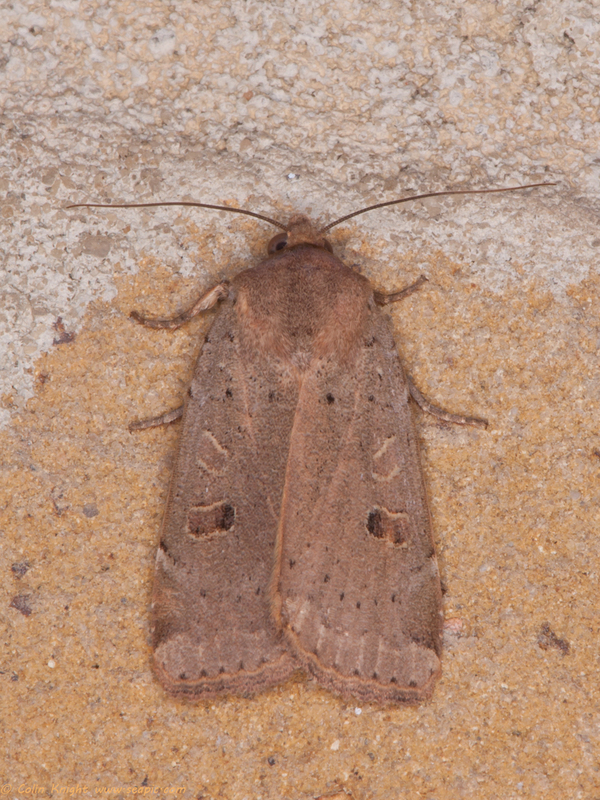 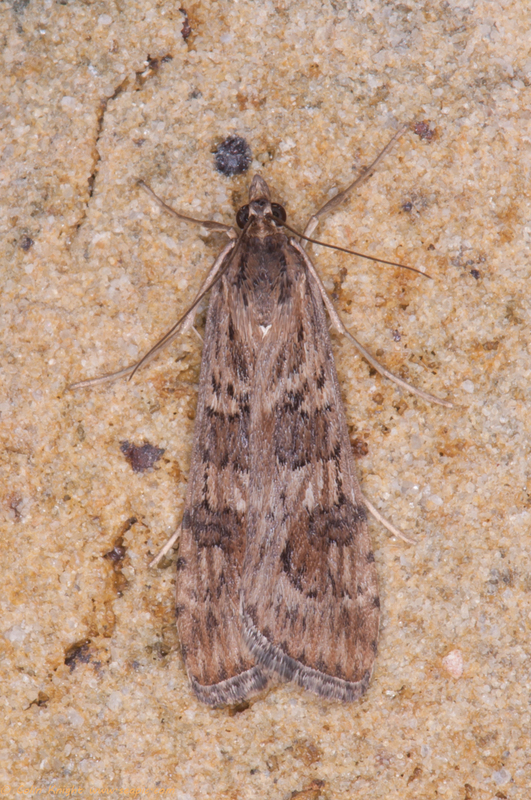 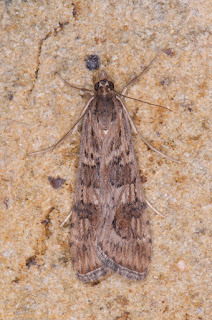 Last night two moths were attracted to our balcony light - the first Lesser Yellow Underwing of the year (last year's appeared on October 5th) and a Rush Veneer. 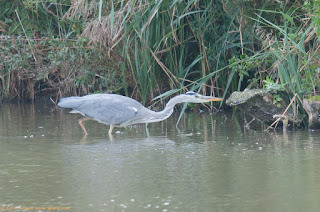 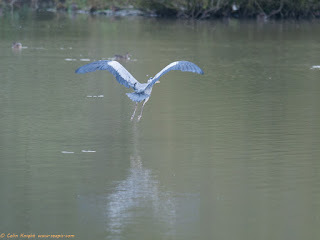 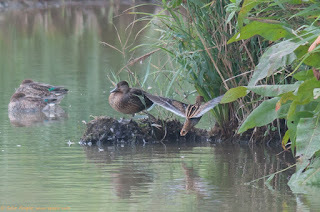 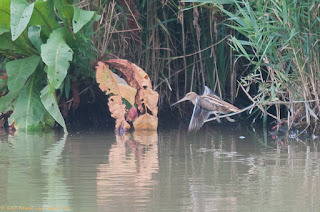 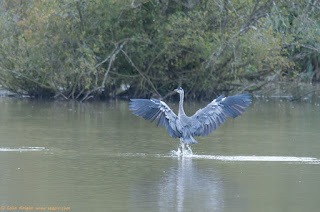 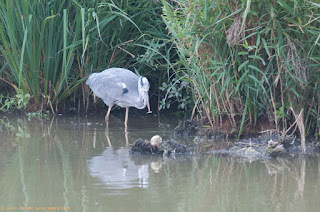 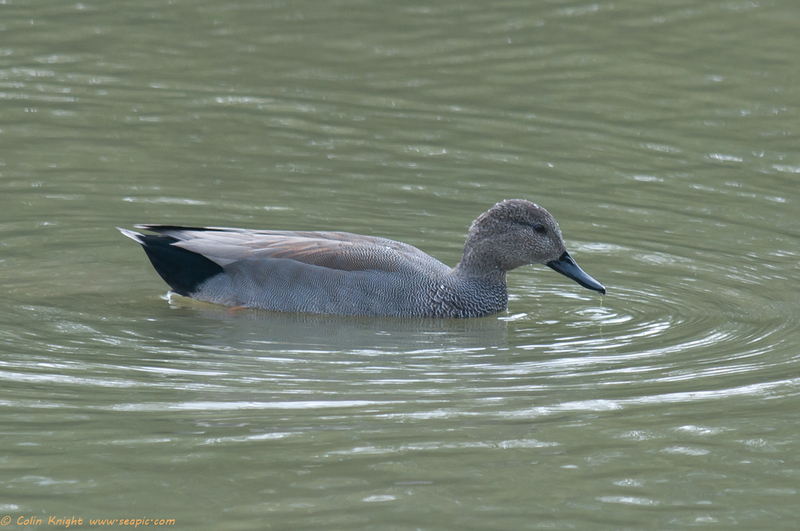 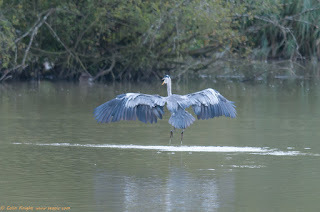 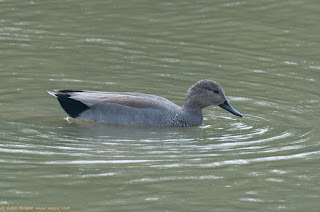 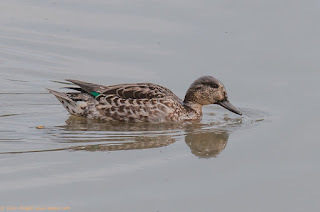 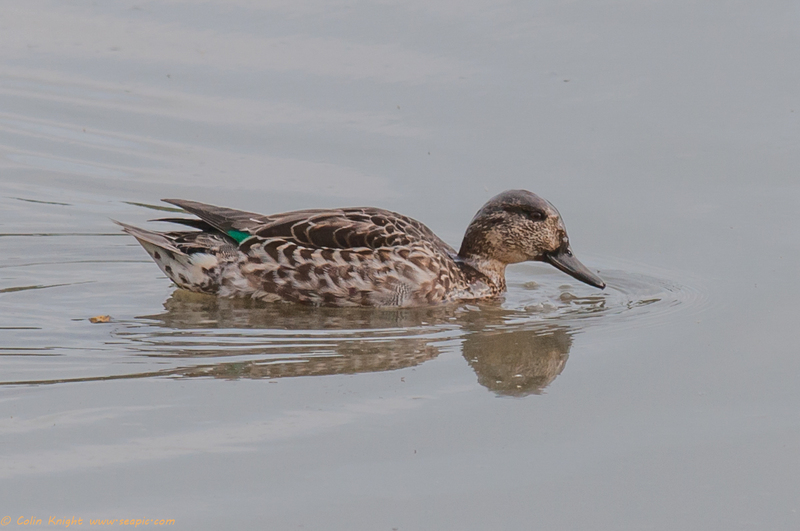 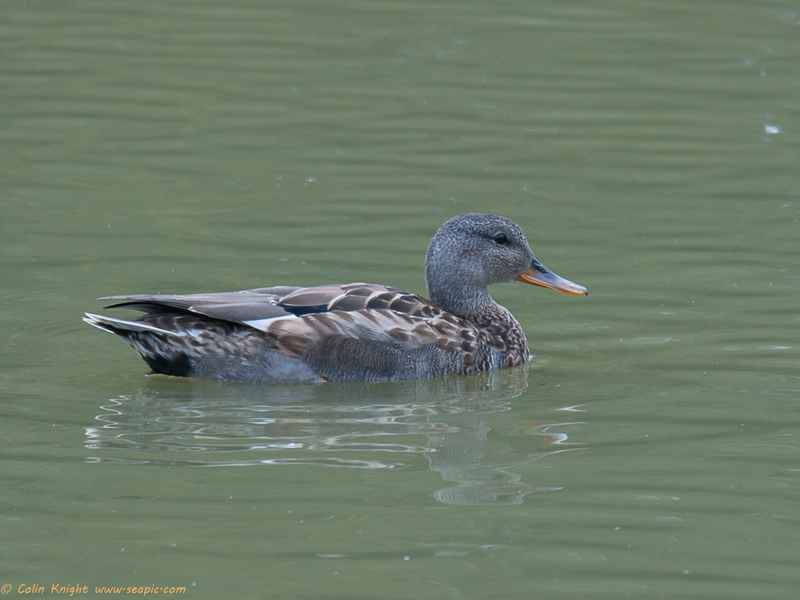 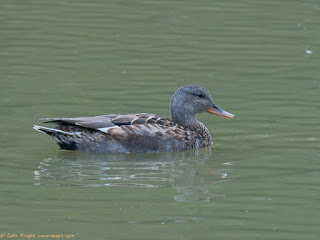 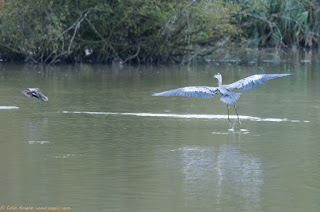 Yesterday afternoon we visited Arundel WWT again. 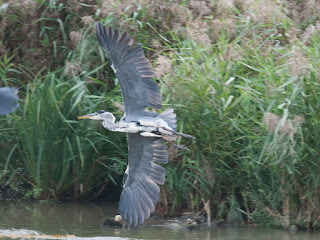 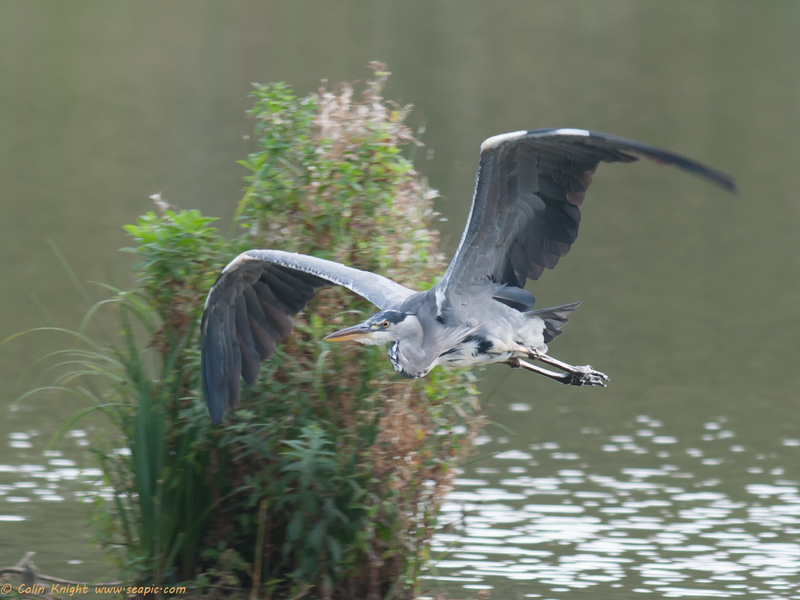 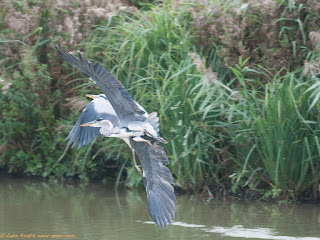 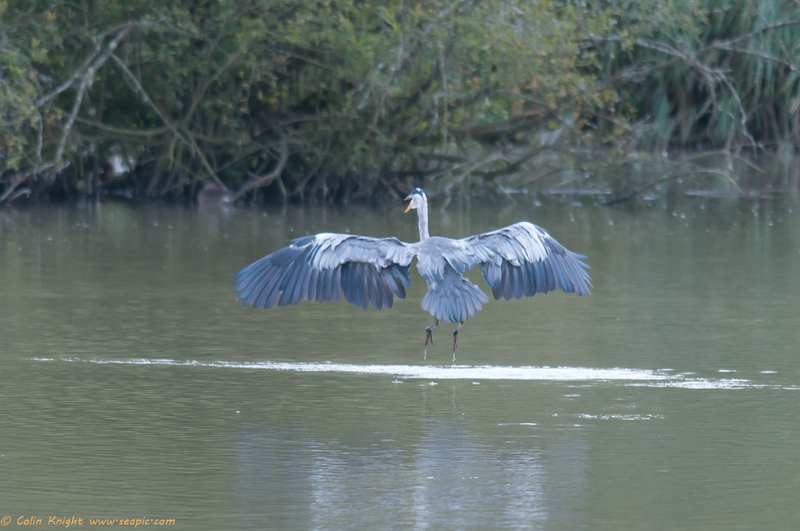 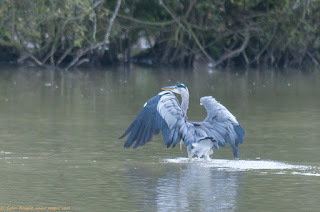 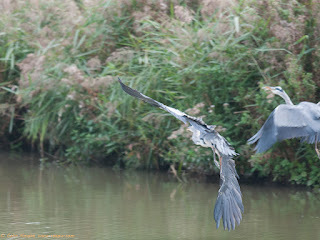 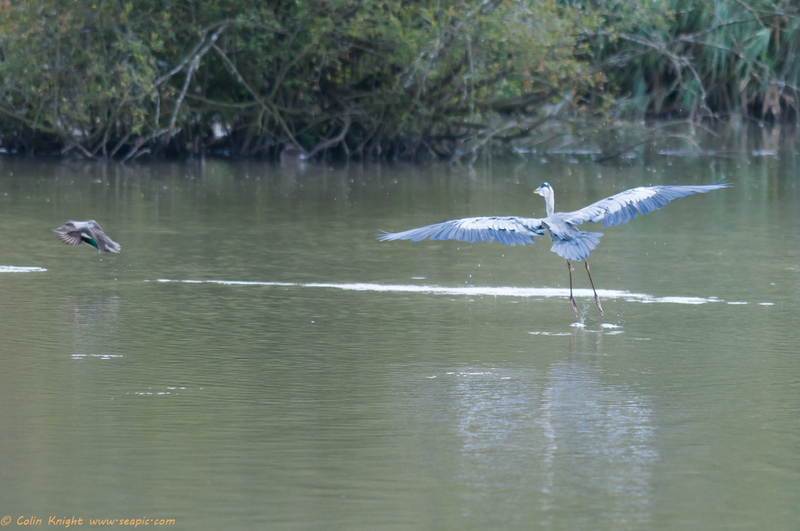 The Scrape Hide provided some action with 2 Grey Herons and 2 Kingfishers. 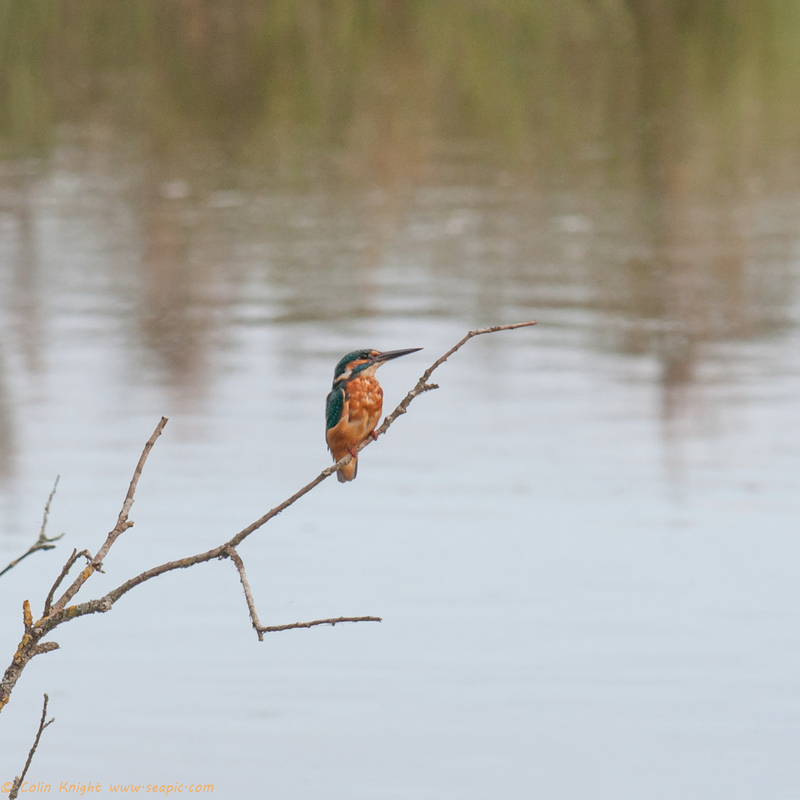 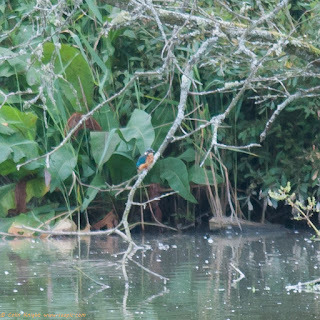 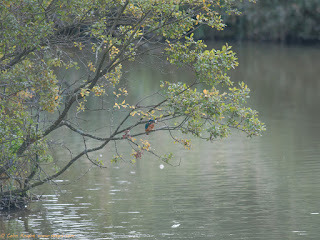 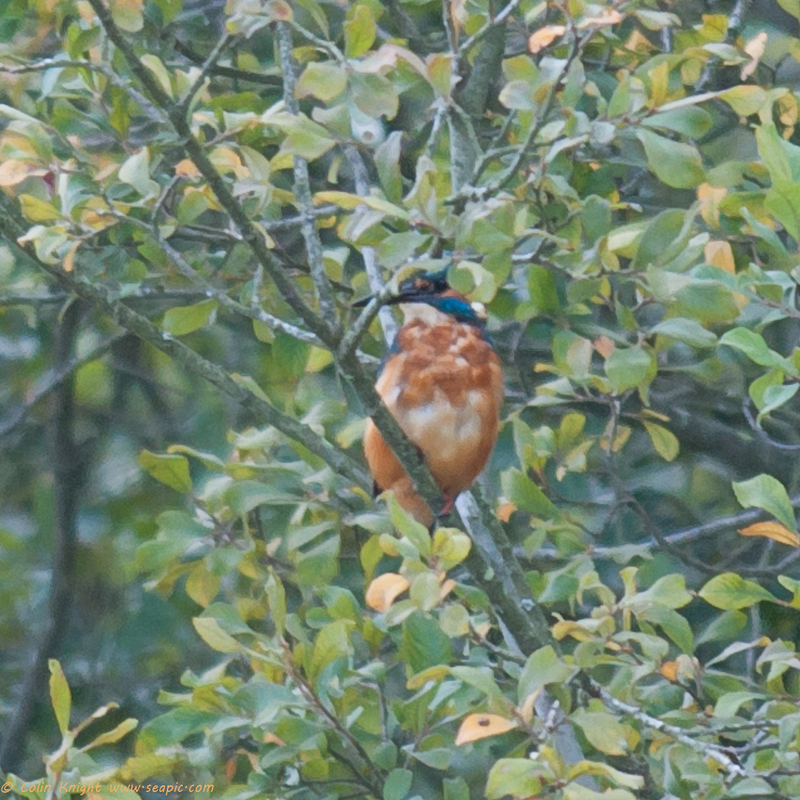 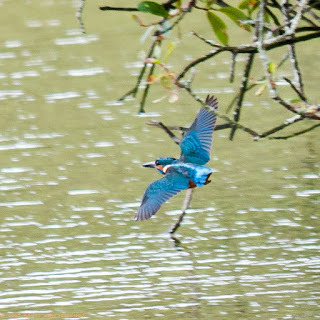 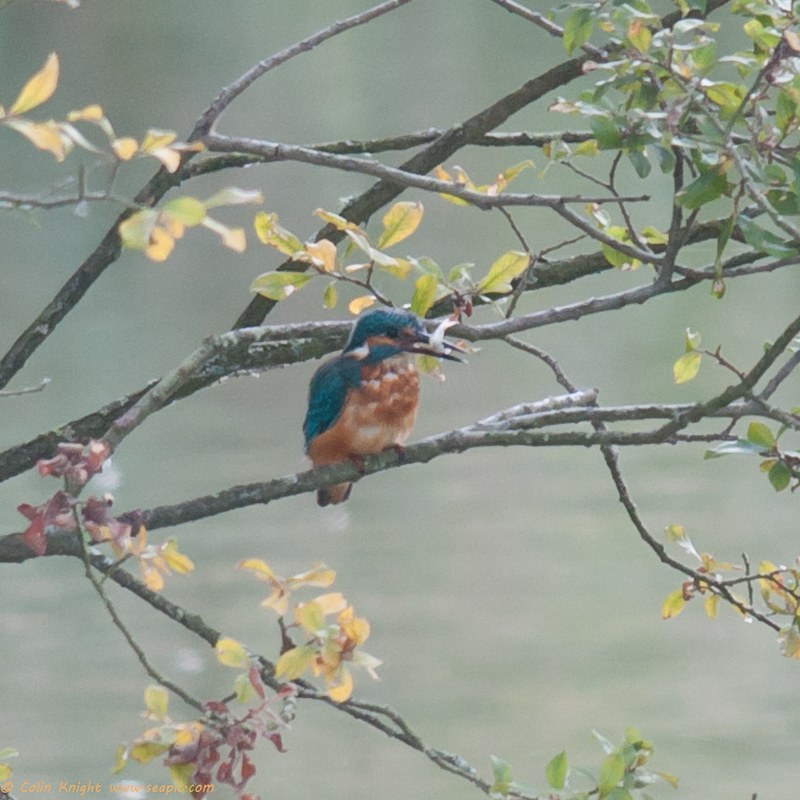 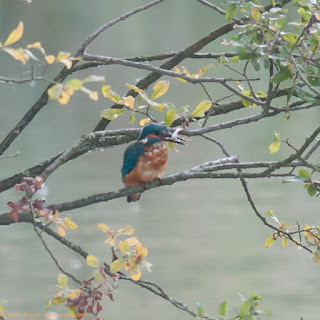 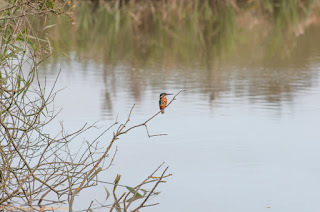 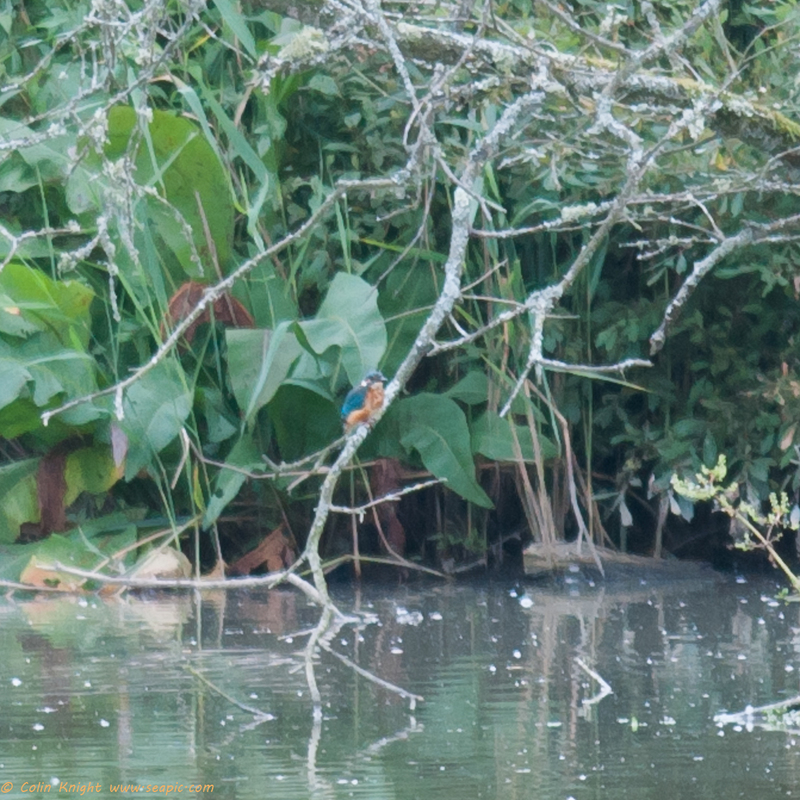 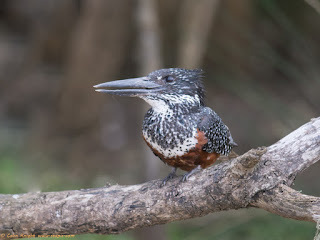 The Kingfishers spent some time touring the lake, appearing at different places so that there was a suspicion that there were 2 individuals. 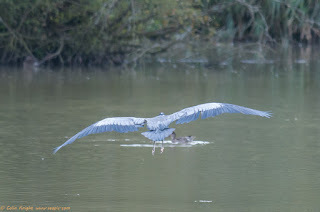 This was confirmed at 5:15pm when 2 birds flew past, one trailing the other by about 2 feet. They did another flypast 5 minutes later. 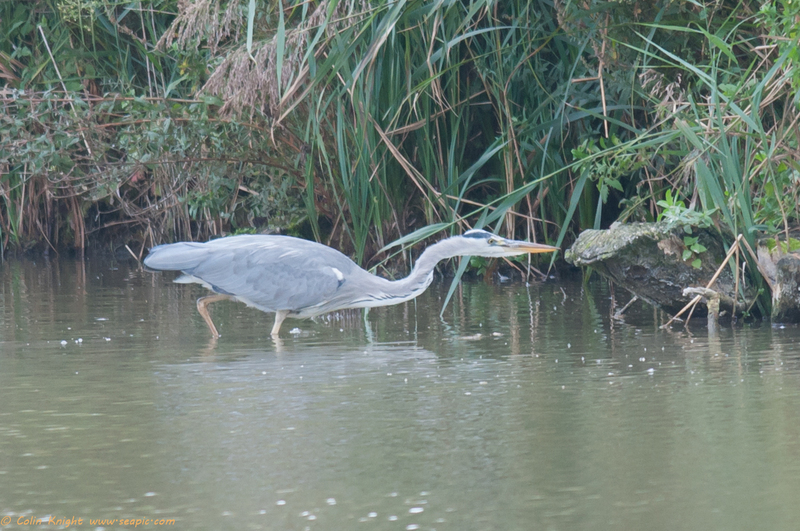 One heron fished in the reed bed to the left of the hide. Later, another flew to the far side of the lake. This one later decided to land in the area where number one was fishing. 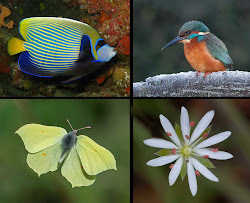 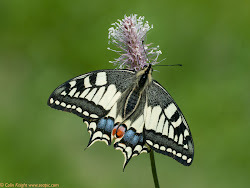 It was coming in to 'land' and saw number one, then changed its mind and flew off. 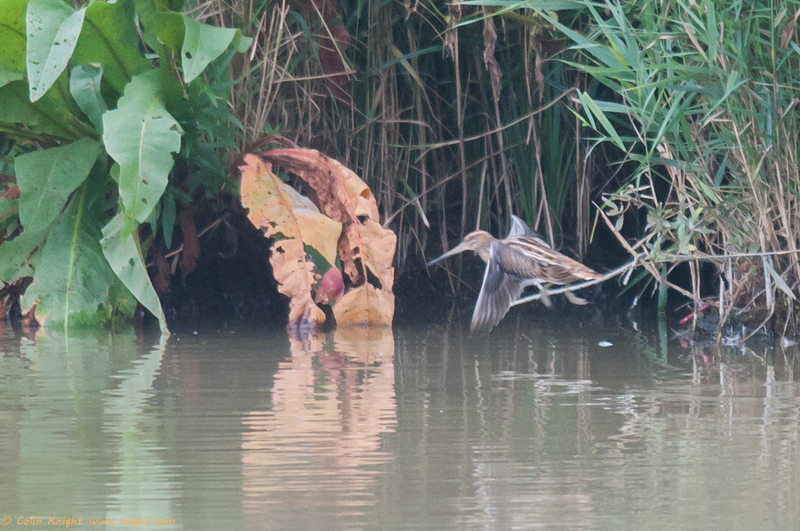 Gadwall and Teal paddled around and a few Snipe flew in.